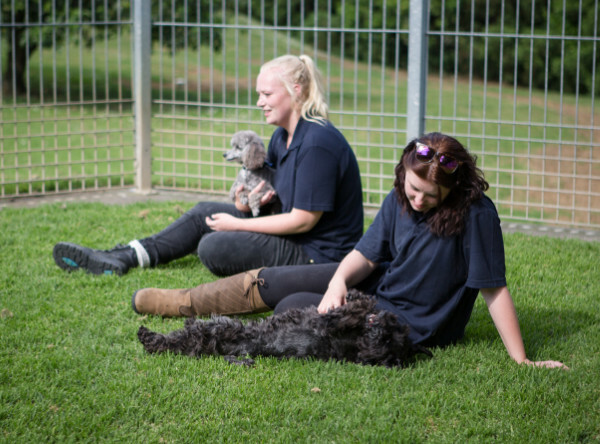 We are lucky to have great attentive staff at Southern Comfort's dog boarding kennels in South Auckland that will make sure all of our guests are happy, healthy and in a safe environment throughout their stay. We start the day with a good romp around in our outdoor grass play areas usually with a few buddies they have been paired up with followed by breakfast in their dog kennels. After lunch its all go again for the afternoon with another play session before setting up a cosy bed for an evenings rest. 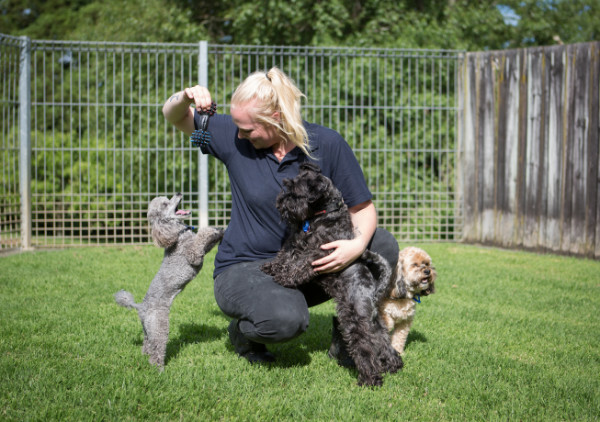 If you are in the South Auckland region and looking for a premium dog boarding kennel facility, whether you're in Manukau, Papakura, Drury, Pukekohe, Waiuku or Pokeno, book your dog in and let them enjoy our wonderful surroundings and friendly staff. *10% DISCOUNT FOR MORE THAn ONE PET. ALL RAWS FOOD DIETS and medication administration will INCUR A $1.50 PER DAY HANDLING SURCHARGE. PLEASE REFER TO OUR TERMS AND CONDITIONS FOR MORE INFORMATION ON HOW OUR DOG KENNEL CHARGES WORk.